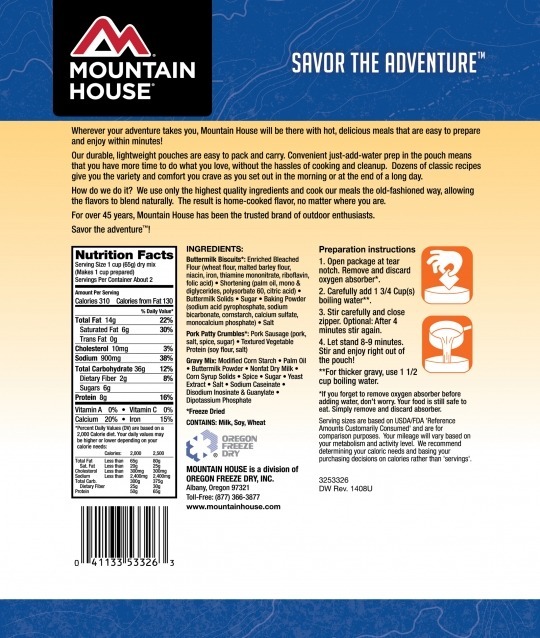 Mountain House Biscuits and Gravy are a filling and delicious breakfast that you can enjoy anywhere, any time. 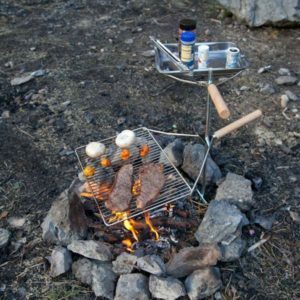 Simply add hot water and you’ll be ready to dig into a taste of home even if you’re thousands of miles away. 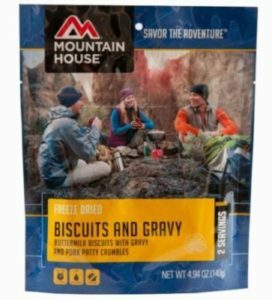 Made with real buttermilk biscuits, sausage patties and gravy, Mountain House Biscuits and Gravy are guaranteed to give you the fuel you need to tackle the day ahead. You won’t even have to worry about packing a bowl or a plate – just add water to the Pouch and you’re good to go. 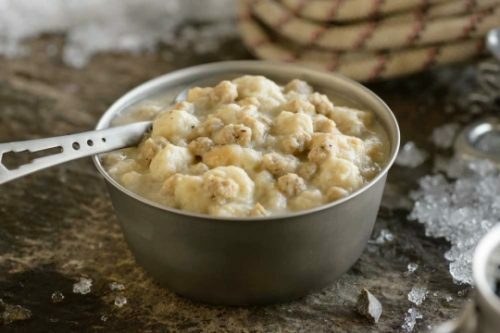 Home-cooked, comforting flavor, wherever you are — that’s what you can expect with Mountain House Biscuits and Gravy.